Dogs, like people, behave differently in different situations. I think some of them here adopt a temporary persona which probably differs quite considerably from their norm. It’s no surprise really – here they’re living with other dogs in a new environment so just as children behave differently on holiday or at school compared to at home, so do a lot of dogs. 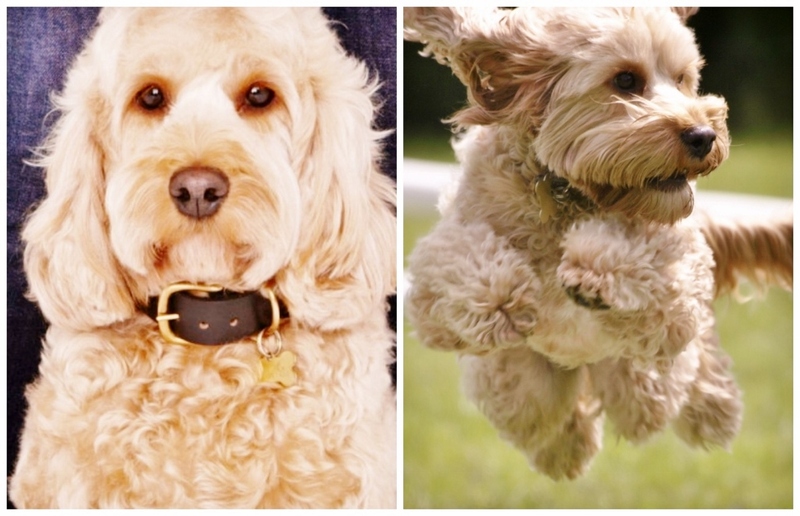 Darcy is the founder member of the Hyde Park Cockerpoo Club and has her own Adventures of a London Dog blog (http://missdarcy.org/). She is incredibly well-travelled, incredibly self-possessed, very much loved by everybody she meets and is quite the most natural Dog Diva I’ve ever met. She plays to the camera, loves an audience and plays a crowd like a true professional. Darcy’s arrivals here are always fairly similar. She’s driven by Peter who I think she considers her personal chauffeur, she’s generally sitting regally in the front seat with nose tilted upwards and a look of calm condescension on her face. She steps out of the car, when the door’s opened for her, loses her haughty grandeur temporarily as she wiggles and waggles her hellos to me, but then steps back into Grande Dame character to be introduced to the other dogs. (With the one exception of Labrador Hector who she always goes nuts for.) This rather absurd charade generally lasts an hour or two, before she forgets herself and ‘gets down’ with the others and is then in play, pounce, grub, splash and dash mode for the rest of her stay. In this ‘country’ mode, Darcy unfortunately tends to get grubby. The grub was noticed and a bottle of her preferred shampoo was duly dispatched. The shampoo is distinctive and wonderful. It comes from the States, via #PurpleBone and smells of general loveliness. As she washed her Ella noticed Darcy taking an inordinate amount of interest in the bottle of her shampoo. There was lots of sniffing and snuffling around it and of it. When I returned home from a trip out, I noticed Darcy definitely, very definitely, had her little Cockerpoo nose in the air. Advances to play from the other dogs, which would have been accepted with alacrity an hour earlier, were now spurned. The river, formerly her favourite splash, was now apparently out of bounds. Darcy the Diva was in residence! So, everybody, can the smell of her shampoo have triggered her haughty response towards her previous playmates? And will it wear off along with the smell of the shampoo? Hooray! Dive Darcy the city girl is still in her! Is this conditioning? She associates the smell of her shampoo with a certain behaviour expected of her. She knows when she’s bathed in it, she’s not allowed to rub herself on fox poo, not allowed in puddles during walks and she has her paws wiped after a walk esp before bed. I am always impressed how she picks up things but this aspect I had never given thought to – good to know it’s sinking in! Yup I agree, we take so much of what these dogs are capable of for granted and often don’t give them the credit they deserve. Clever dogs pick things up so quickly – which can be good (as in this case) or not so good if those early lessons and experiences aren’t positive ones!